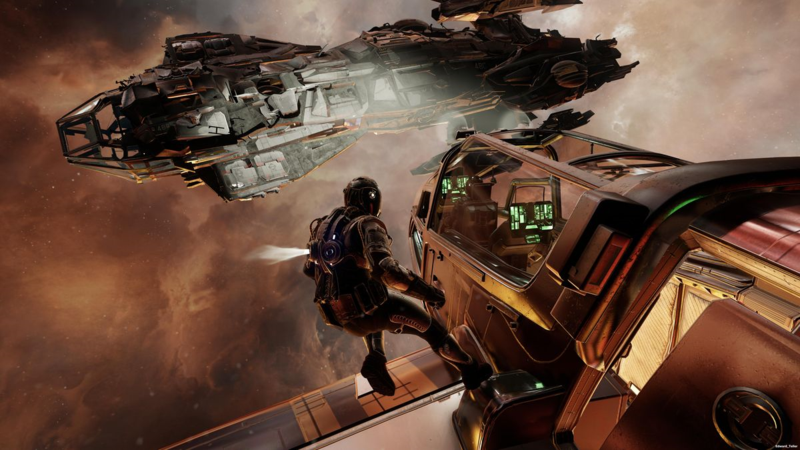 To provide a gaming experience that is more tactical and varied, Star Citizen has devised a limb-based injury system which includes varying degrees of damage severity and permanence. It’s not going to be the more common scenario where after sustaining damage, a player runs and hides until his health magically regenerates to full. Based on the Healing your Spacemen article, we know for certain that a robust SAR system is being designed. Requests to rescue players and NPCs is one of the major mission types being planned. Players will be able to send distress calls if they’re shot down or otherwise stranded in space. A fellow player, whose ship is SAR equipped, can retrieve them and provide medical services aboard their ship. If the injuries are beyond what they can provide, the responder can stabilize the patient and transport them to a dedicated medical facility. 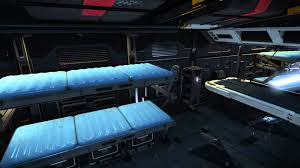 Beyond what CIG has published on the topic, we know that providing SAR will range from small operations to larger player run medical services, based on the ships being developed. They’ve talked about a large medical treatment ship being delivered in the 4th wave of Persistent Universe ships. I have no idea what wave we’re on now but SAR capable ships are already in the line-up. If MMOs have taught me anything, it’s that the vast majority of players like to pew-pew at every opportunity and even a cautious PVE carebear dies. There will be no shortage of players needing medical attention. Even if you die in space, there’s a possibility that your body can be healed if you receive intensive medical attention in time, which will save you a tick on your permadeath life counter. Yup, medical services will be in demand. Even with the little, we have to go on beyond the ships announced thus far, player run organizations are forming around this career. One such group is Corporate Search and Rescue, which is 325 members strong at this point. And there’s a SAR association for players who are in the medical/SAR career – even though the career itself hasn’t been announced. SC backers are not short on imagination or enthusiasm for carving out their personal niche in space. Here’s a player made video illustrating what he thinks the SAR/medic role will be like in Star Citizen. And a thread where players are discussing which ships can be used as space ambulances – no real treatment, has gotten traction. As for me, I think SAR will be an interesting and diverse career that will also provide a lot of social interaction with the community. I’ve already decided on commercial civilian transport as my primary career. However, there’s always room to play multiple roles in MMOs. I’ve picked SAR as a secondary. I think SAR is a support role I can provide for guild/corp PVP operations or any endeavor where one of us might get hurt. It’s also a service you can provide after the fact! A friend is hurt while out mining, exploring, doing PVE, etc., and makes it back alive but with long term injuries. I can bring them aboard my ship to take care of their injuries, likely saving them some coin and hassle. I can also do sporadic rescue services while exploring. My decision to purchase the Genesis Starliner to accompany my goal of obtaining a commercial pilot license left me with redundant ships based on their roles. I had a Freelancer MAX with the idea of doing salvage and hauling cargo but I missed the concept sale for the dedicated salvage ship and am not sure when/if I’ll pursue it at all now. Lacking an exploration focused ship, I exchanged the MAX for the DUR variant, which left me with a store credit. I also had the Aurora LN which is a combat ship but one that’s inferior to the Origin 325A I purchased. I decided to melt the LN, which gave me full credit for the original purchase price. 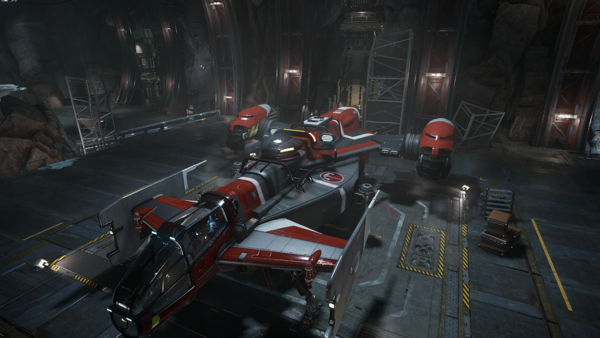 Using my store credits plus $50, I bought the Cutlass Red, a dedicated SAR vessel. It’s the smallest of the SAR ships announced thus far which is all I need. I’m big on PVE in MMOs. Although not typically a completionist, I like to do as much of the PVE content as possible, assuming that it’s decent. Knowing that there will be missions specific to SAR, I decided that owning one was a something I wanted up front. I also plan to team up with my guild from ArcheAge which contains a LOT of PVP/FPS gamers. I think I’ll have a plenty of bodies to mend.